Industrial Computer Chassis series offer IPC chassis, ATX chassis, IPC enclosure for Servers, Server Boards, Server Chassis, and Server Systems. The IPC chassis series build an essential bloc for performance demanding applications. Your guide to motherboards, backplanes, & single board computers. Rackmount IPC chassis and IPC enclosure series offers wide range of rackmount chassis from 1U to 6U. The rackmount server case is built for slot-hungry applications and for supporting rackmount computer system. Advantech 1U rackmount chassis is an ultra-compact yet powerful computer chassis. This IPC chassis with great ventilation is especially designed for space-constrained applications. 2U rackmount chassis is compact yet highly expandable computer chassis featuring modular design for easy maintenance. The 2U computer chassis provide the best support for various wallmount and rackmount system. 4U rackmount chassis is a cost-effective computer chassis featuring a complete line of backplanes, power and storage device options. The 4U computer chassis provide the best support for various wallmount and rackmount system. 6U rackmount chassis is a cost-effective yet fault-resilient computer chassis with redundant power supplies ideal for multiple system application. The 6U computer chassis provide the best support for various wallmount and rackmount system. The desktop/wallmount chassis is an IPC chassis and IPC enclosure supports ATX, micro ATX, mini ITX motherboard specialize in mission-critical and space-sensitive application. The IPC chassis also fulfill compact embedded chassis requirement in the industrial environment. The Mini-ITX motherboard chassis is a modularized, flexible and compact IPC chassis. The Mini-ITX fanless motherboard chassis offers embedded chassis to meet your need for cost-effective solution. MrcroATX motherboard chassis offers flexible power supply and satisfied the need for mini industrial chassis with MicroATX motherboards. The IPC chassis offers embedded chassis to meet your need for cost-effective solution. ATX motherboard chassis features front access I/O ports and drive bays design for easy access and maintenance satisfying the need for IPC chassis. The ATX motherboard Chassis offers flexible power supply selections. PICMG1.0/1.3 chassis is a flexible IPC chassis for small-scale deployment with flexible backplane and power selection satisfying the need for Industrial Motherboard Chassis and Single Board Computer. 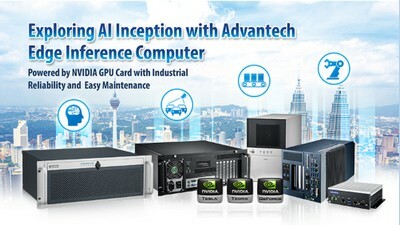 As GPU computing becomes prevailing in applications of machine vision, 3D imaging, machine learning, big data analysis and artificial intelligence, more and more equipment builders and system integrators demand to install NVIDIA GPU cards in computers to utilize the high speed, parallel computing power.